Many people view the striking side of MMA as the most exciting, the combination of elite striking, small gloves and hard strikes regularly result in spectacular, highlight reel knockouts. Since the UFC first rose to prominence as the most popular MMA promotion the level of striking ability has continued to improve. It’s no longer enough to be a wrestler who can wing a few haymakers, striking needs to be precise and deadly. Fans of MMA striking should be over the moon at the announcement that Gokhan Saki, Glory Kickboxing’s no. 2 ranked light heavyweight is making the jump to the cage with a multi fight UFC contract – bringing with him a history of hitting people extremely hard, and a record of 83 wins and 12 losses (complete with 59 knockouts). Saki is expected to make his debut at UFC Fight Night 117 on the 23rd September, facing off against Henrique da Silva. Here at Fight Quality we’re excited to see how Saki gets on in the cage, and how he answers the long standing question about how a striking specialist can handly takedowns and ground fighting – but in the meantime, let’s look at the other great kickboxers on the UFC roster. This is NOT a ranking of best strikers, as you could argue for days about who’s the top. 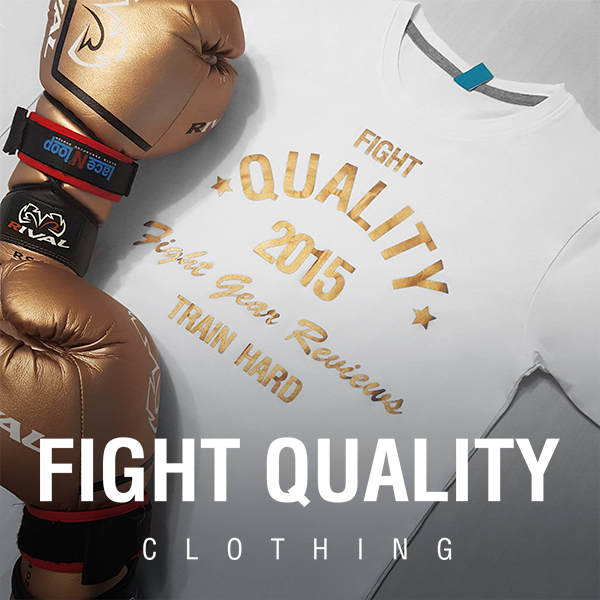 Instead these are five of Fight Quality’s favourite UFC Muay Thai fighters and Kickboxers. The Reem is a UFC heavyweight staple, currently ranked as the number one contender behind the baddest man on the planet, Stipe Miocic. While his MMA record stands at 43 wins, 15 losses and 1 no contest, and he started training MMA aged 15, he also has a 10-4 kickboxing record, fighting in the Japanese K-1 leagues. Overeem is one of only two fighters to hold both K-1 and MMA world titles at the same time, and actually claimed his K-1 title at the 2010 Grand Prix, where he actually beat Gokhan Saki in the semifinals, by breaking Saki’s arm with kick. Watching Stephen Thompson fight it’s easy to see why the welterweight title contender earned the nickname Wonderboy. He comes from a Karate background, and fights with a side-on, hands-down style, throwing out kicks like a lot of fighters throw jabs. Before taking up MMA Wonderboy was a professional full contact kickboxer, with a 20-0 record, including 10 knockouts. His amatuer kickboxing record is just as impressive, with 37 wins (18 by knockout) and just 1 loss. Everyone who’s watched Joanna Champion knows that when it comes to striking she’s got it pretty much covered, she took the strawweight title from Carla Esparza with a second round KO in 2015 and has held onto the belt since, building up a 14-0 MMA record. As many people know Joanna comes from a Muay Thai background, having started training in her teens. She’s competed in both kickboxing and Muay Thai, with a 27-3 kickboxing record and a 37-3 amatuer Muay Thai record, and collected five world championship belts before she moved into MMA. Cowboy is another Welterweight who’s delivered some spectacular knockouts in the cage – just look at his recent win against Rick Story for an example of textbook striking. Cowboy originally started training in kickboxing and taekwondo, after being in regular fights in highschool, and built up a 13-0 amatuer kickboxing record. Cerrone then transitioned into Muay Thai, eventually turning professional, and was undefeated in Muay Thai as well his record stands at 28 wins, 1 draw. Barboza was once described by UFC commentator Joe Rogan as the best kicker in MMA, having finished multiple fights via leg kicks, and scoring the first ever wheel kick KO in UFC history. He began training Muay Thai at 8 years old, training and competing before turning pro. He had 28 fights, with 25 wins and 3 losses. 22 of his kickboxing wins came by way of knockout, with an impressive 17 of those being first round finishes. Can Gokhan Saki join these elite level strikers and bring his serious power into the cage? Or will he struggle against the takedowns and ground game of other fighters? Let us know what you think in the comments!